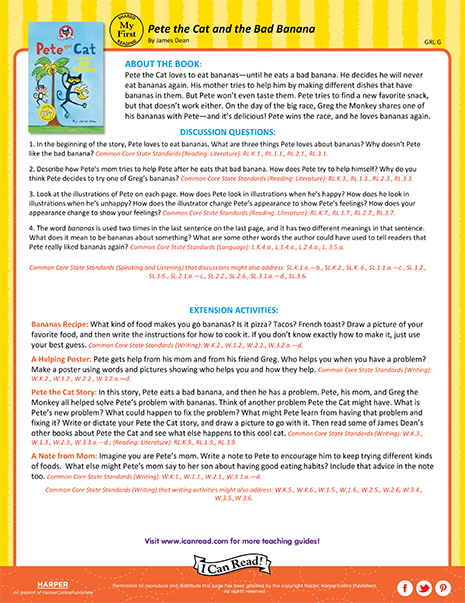 Download a free Teacher’s Guide for Pete the Cat and the Bad Banana, a My First I Can Read! book by James Dean! Pete the Cat loves riding the cool school bus! 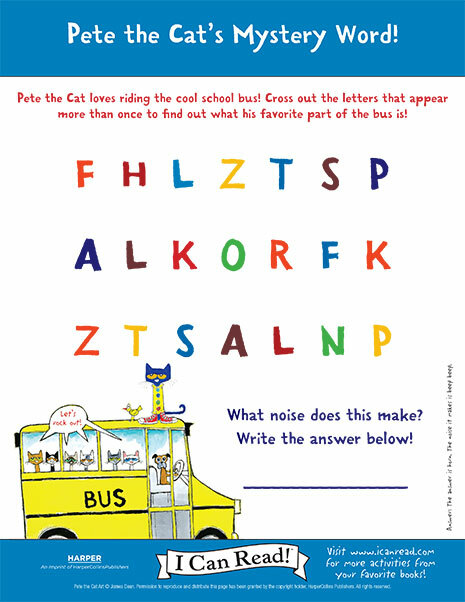 Cross out the letters that appear more than once to find out what his favorite part of the bus is and and reveal the mystery word! 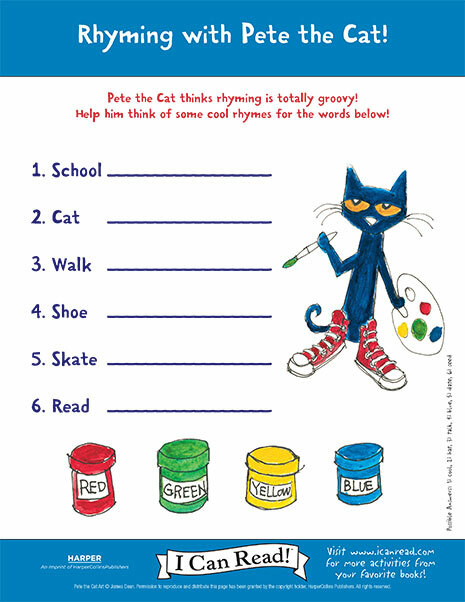 Pete the Cat’s shoes change colors as he walks along. 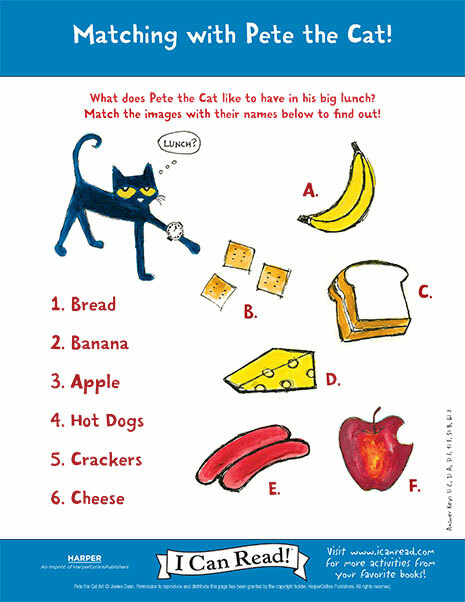 Can you help Pete figure out what color his shoes are by solving this word scramble? 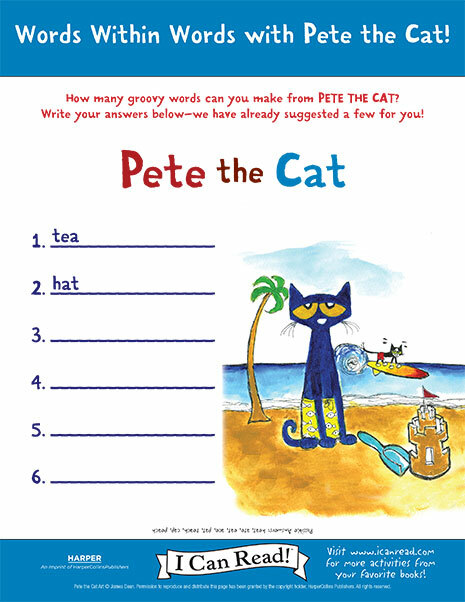 How many groovy words can you make from the letters in “Pete the Cat”?